U.S.-allied Kurdish fighters will undoubtedly face "repercussions from the Turkish army" if America pulls out of Syria, says a former adviser to Turkish President Recep Tayyip Erdogan's government. 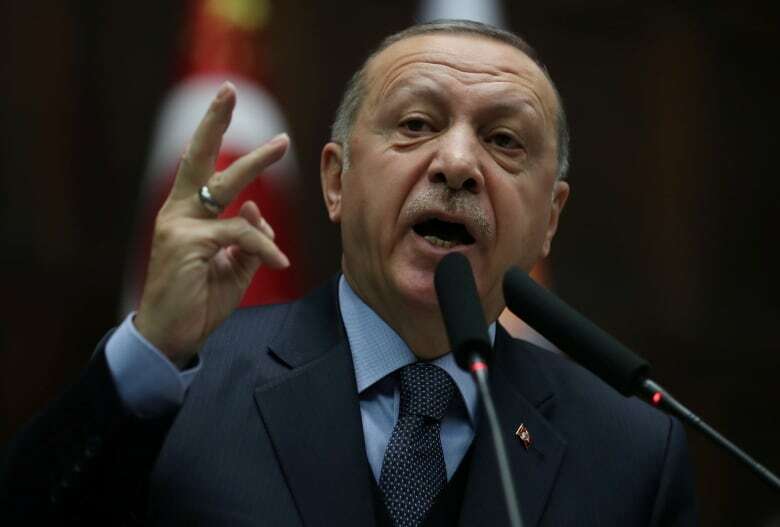 Erdogan accused U.S. national security adviser John Bolton of making "a very serious mistake" Tuesday by demanding that Ankara guarantee the safety of Kurdish fighters in northeastern Syria before the U.S. withdraws its troops from the war-torn country. he YPG denies direct organisational links to the PKK and the U.S. says there is no contradiction between working with the YPG while tying the PKK to terrorism. Osman Sert, research director at the Ankara Institute think-tank, says protection for the Kurds is a "non-starter" for Turkey. Here is part of his conversation with As It Happens host Carol Off. What message is President Erdogan sending by refusing to meet with John Bolton? It is so obvious. You know, Turkey's concerns are so open and frank. Mr. Erdogan is not telling for the first time the PYD or YPG is a terrorist organization for us. He is repeating this for two years. These are U.S.-backed Kurdish fighters of the Syrian Democratic Forces. This is the group that the Americans have allied themselves with. So Turkey calls them terrorists, United States calls them allies. I know it's complicated, but isn't that exactly the crux of the matter here? Yes, exactly, you are right. But from the very outset Turkey was warning the American friends that, look, these are terrorist organizations. They are PKK-affiliate organizations, and it is true. You shouldn't be co-operate with this group. Rather, if you wish, we are here and Turkey already proved its ability, its willingness, its capacity to fight with ISIS. In the Turkish-controlled region in Syria, there's no ISIS, no terrorist groups, no Iran, no regime, no anyone. This was a mistake which was done at the outset by the Americans, and that's why now the Americans are trying to undo this. 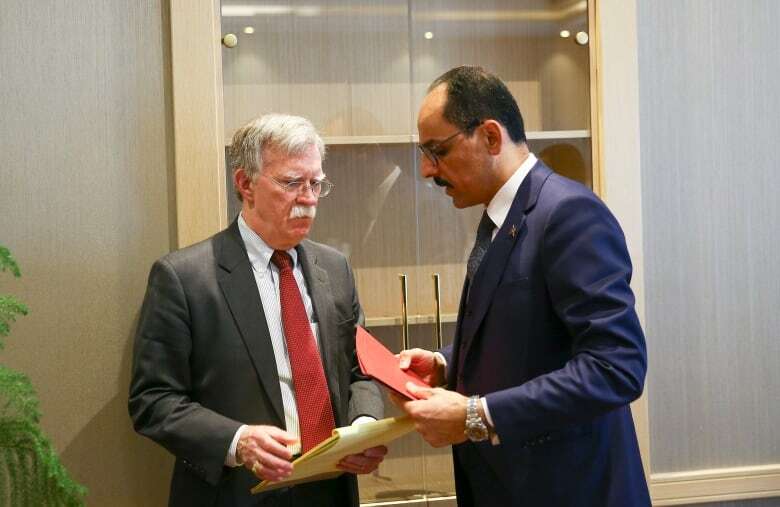 Mr. Bolton is saying that he's demanding guarantees that Turkey would not attack those Kurdish forces we've just mentioned that are allied with the United States and that they will not withdraw if they don't have those guarantees. Though it contradicts what Mr. Trump is saying, and we'll get to that in a moment, but that's essentially what Mr. Bolton is saying. ... What position does that put Turkey in? Carol, you just underlined it very clearly. That is a huge contradiction in American policies or American statements. That is the problem. Mr. Trump is saying something, Mr. Bolton is saying something, the Pentagon is speaking in a different language. If the United States did what Mr. Trump says it's going to do, which is just to leave, what would Turkey do to those forces that we're talking about, those allies of the United States. What would become of them? Would they be killed? In Afrin, you can see what happened over there. 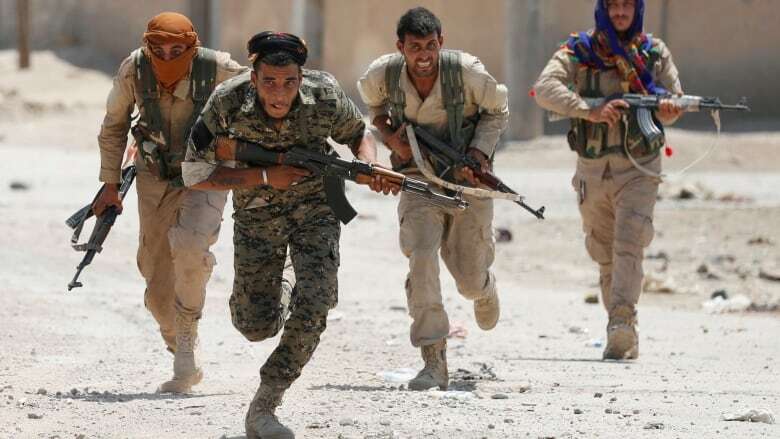 Turkey, with the Free Syrian Army as well, have a fight with the PKK-affiliated YPG. And they [have] withdrawn from this region. But if they stay [near the Turkish-Syria border] and then Turkey's forces are entering to them, if they attacked the Turkish forces, of course they will have these repercussions from the Turkish army. OK, but when you say "attack the forces" — if they stand their ground ... what will Turkey do? These groups, for maybe three decades, are giving a fight with Turkey. They are killing civilians in Turkey, they are attacking Turkish towns, they are attacking Turkish military at the border, at the Turkish-Syrian border, as well. And as a terrorist organization, Turkey will do whatever should be done. What does that mean? When you say do whatever it has to do, what does that mean? It's a fight. This an operation. It's military operation, and it's a fight. What do you expect Turkey, against a group which is a terrorist organization, to give some roses to them? So Turkey will eliminate them. Of course. Turkey is telling this. It is not a secret, OK? We haven't mentioned one other player in this region, which is probably the biggest and most powerful, and that's Russia. Where does Russia stand in all of this? Will they not back the Kurds? At the outset, Turkey tried to do its best to make co-operation with the Americans, but unfortunately, it is a very long list of disappointments. But now Turkey is in close co-operation with Russia and probably Mr. President Erdogan will be going to Russia to Moscow, sitting with Mr. Putin and will be discussing about what's happening on the ground right now. Written by Sheena Goodyear with files from Associated Press. Interview produced by Kevin Robertson. Q&A has been edited for length and clarity.